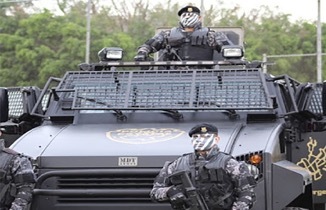 The Mexican military and security forces are fielding an integrated network of intelligence gathering, surveillance and response capabilities designed to bolster homeland security and combat narco-trafficking. The heart of the system – an Airborne Surveillance Intelligence and Observation (ASIO) system is developed by the Israeli company Bird Aerosystems. ASIO was selected by the Mexicans as a manned, airborne intelligence gathering and surveillance system for homeland security, favoured over an unmanned platform solution. 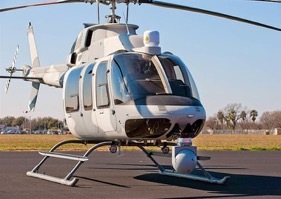 The system includes surveillance kits installed on various aircraft and land vehicles, including several specially modified Cessna Citation business jets, Bell 407ASIO helicopters and response teams operating on the ground. These special mission aircraft are part of a larger multi-layered security network designed to protect strategic assets, sites, and infrastructure across the country. 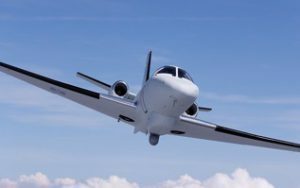 Unlike slow and more complex unmanned aerial vehicles (UAV) systems, the Citation jets are more efficient in covering large areas in different regions. These patrols can cover large areas from standoff range, as they conduct their patrols at altitudes of 30,000 ft., virtually hidden from detection from hostiles the ground. The sensors are installed in a pod attached to the belly of specially modified Cessna Citation business jets aircraft. The conversion also included installation of uprated engines, increasing fuel capacity for longer endurance and upgrading of some of the avionic instrumentation into a missionized glass cockpit, installation of antennae and the sensor pod. The cabin includes two workstations for the creation of an air- ground picture and mission control. The user interface system developed by Bird provides common control tools for radar (for the Mexican project, the customer selected Selex 5000 radar). A retractable electro-optical and communications and signals intelligence (COMINT/SIGINT) are also part of the suite. All are controlled from common workstations, enabling efficient and intuitive operation by a small team. The ASIO solution can be installed on a wide range of aircraft and is a complete yet highly customizable airborne operational system that addresses diverse operational requirements. The Mexican solution uses a specially modified Cessna Citation business jet. Finally, special intervention teams are also part of the system, dispatched to deal with specific events using MDT Tiger Armored Vehicles that are also fitted with a connected C4I console.